This was an invaluable exchange that allowed students to immerse themselves in a different culture, and put their knowledge of Spanish into practice within a meaningful context. In addition to this, St John’s students have made some lasting memories, and more importantly developed life-long friendships! "Late on the evening of 21st May, after a fairly long journey, we eventually arrived at our destination Zaragoza, the home of my new Spanish friend. We had already met and spent a fantastic week in the North East when we played host in April, we visited St. James Park, Durham Cathedral and Beamish not to mention the meals, Laser Quest, bowling and parties we attended when my Spanish friend lived with us. The journey had taken us via Newcastle to Barcelona airport 'El Prat' where Mr Robertson had hired a Spanish bus company to take us on the 4 hour journey to Zaragoza. We were shocked at the standard of coach - we thought that it had been hired for FC. 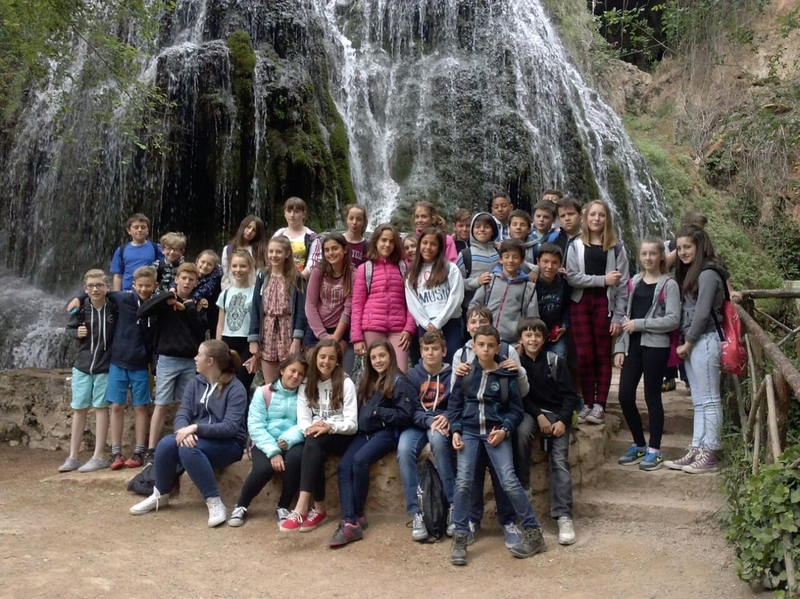 Barcelona and Lionel Messi not 20 students from Bishop Auckland - it was an amazing trip! When we arrived we were greeted by our Spanish friends and family and taken to their homes. The flat was very modern, but really homely. Early the following day, we had wide selection of delicious foods for our breakfast which we thoroughly enjoyed and then, just before eight o’clock Spanish time, we boarded the school bus to take us to the school, where our first lesson, funnily enough, was English. Zaragoza was the name of the beautiful City in which we were staying, and on Tuesday morning we had an opportunity to have a good look around it and discover its history for ourselves. In the afternoon, we visited the centre of the city and looked around the impressive Basilica. We also went to the biggest aquarium in Europe, painted pictures in the 'Francisco Goya' museum of Art, attended a real Spanish Football match, were Zaragoza unfortunately we beaten 1 -0 by Mirandes. We had a guided tour of the stadium and one of our favourite activities was 'La chocolatada' a churros (Spanish, doughnuts and melted Chocolate party). We will never forget our incredible Spanish adventure, I am going back to Spain in the summer with my family to spend a week with our new friends. Thanks to the Spanish Exchange I now have a new found love of all things Spanish and my Spanish really improved."